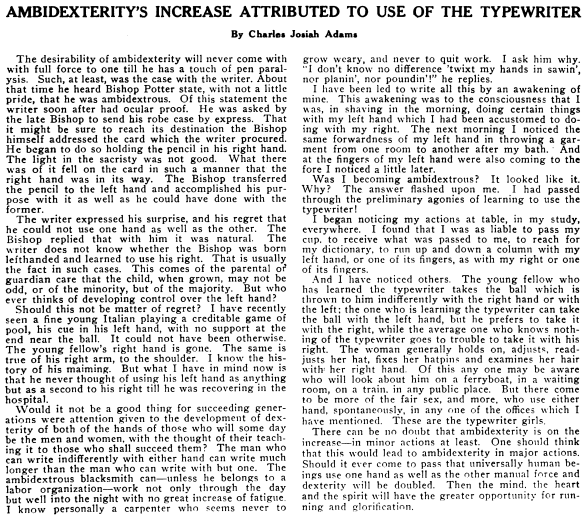 My own relatively minor problems - with a crushed and slowly-healing typing finger on my left hand and a painful right-hand "mouse finger" (carpal tunnel syndrome) and return of RSI in the right wrist - paled into insignificance when I read about Anna M. Hey in the July 1909 issue of Typewriter Topics. 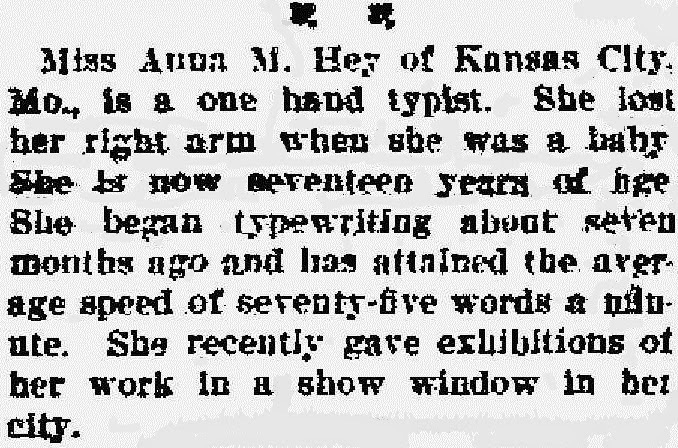 According to the Eau Claire Sunday Leader of Wisconsin in September that same year, Anna had only taken up typing in February 1909, at the age of 17. She had achieved a typing speed of 75 words a minute. 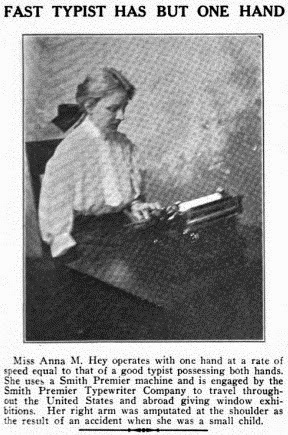 The Leader claimed Anna was from Kansas City, Missouri, but I believe she may have been Anna Marie Hey of Cincinnati, born in that lovely city - so rich in typewriter history - on November 29, 1892, and who died there on September 18, 1977, aged 84. This Anna, who was primarily a secretary, cashier and bookkeeper, never married. 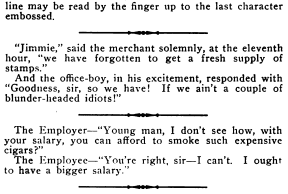 In the 1920s, Anna worked for a wholesale paper company in Cincinnati. 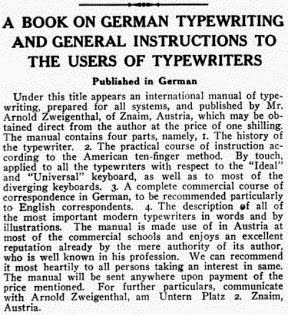 Mention of paper brings me to this hilarious letter published in the same edition of Typewriter Topics. 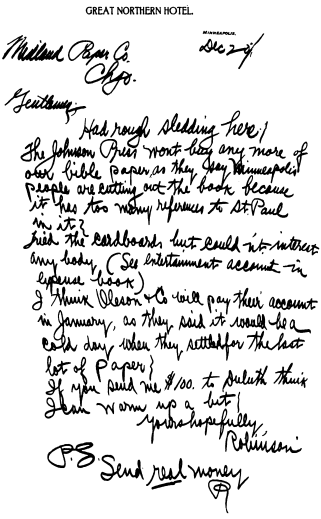 It concerns a the Johnson Press in Minneapolis refusing to buy bible paper from the Midland Paper Company of Chicago because the folks in Minnesota were cutting out pages, complaining there were too many references to St Paul! Anna sounded amazing and accomplished despite her lost arm. Thanks for the interesting glance into the past and into that corner of typewriting history as always. Those are some great articles. I would have never thought someone could type one-handed and gain much speed. Anna is quite impressive.